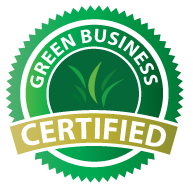 Girls Gone Green is committed to consistency and quality every time we clean your home so that you can fully enjoy your free time in a healthy, clean and fresh atmosphere. The bathroom is an area which reflects our eye for detail. It’s a room that needs extra care and attention. We make sure the bathroom is as close to perfect as we can get it, making it a clear indication of our work ethic and the energy toward detail in the rest of your home. Spot checking of light switches, etc. These items are not a part of a basic clean but may be added into your routine. Contact us now for a free estimate for customers in Vernon, Salmon Arm, Sicamous, Sorrento, Blind Bay, Sunnybrae, Tappen, Grindrod, Enderby & Armstrong BC.